An ideal product for long-term care, pharmacies, hospitals and correctional facilities. 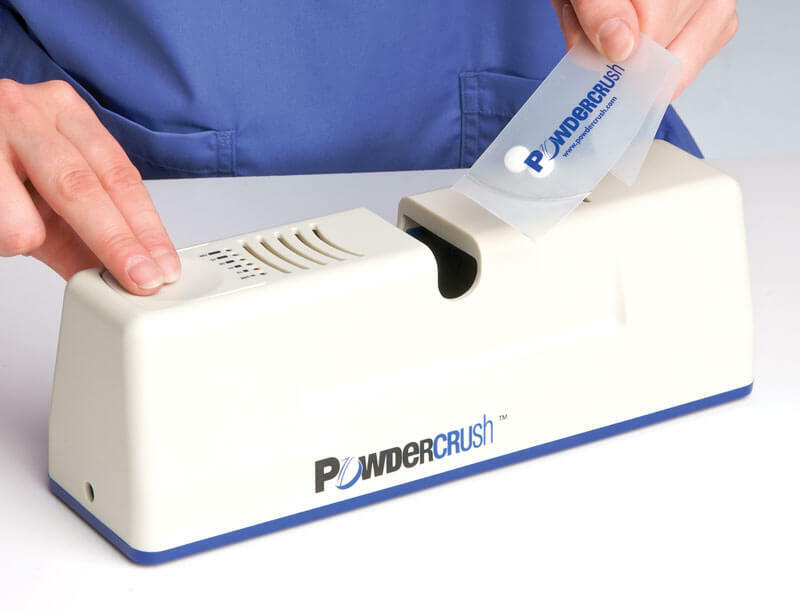 Powdercrush® saves time, eliminates the problem of cross contamination and crushes meds to a super-fine powder. The Powdercrush® is battery operated; powered by 2 long-lasting rechargeable batteries (charger included). Powdercrush® will help reduce the chance of repetitive strain injuries for nurses. 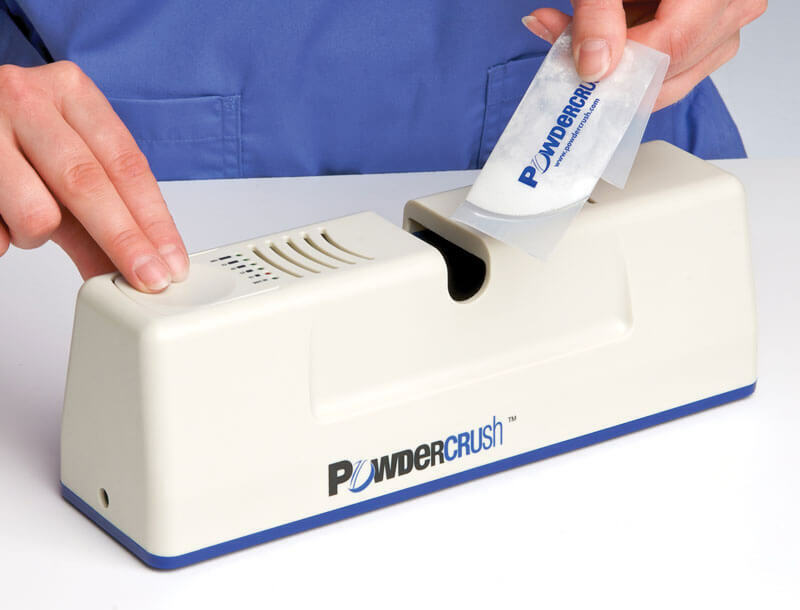 The Powdercrush® is used with disposable medication PowderPouches available through Manrex. 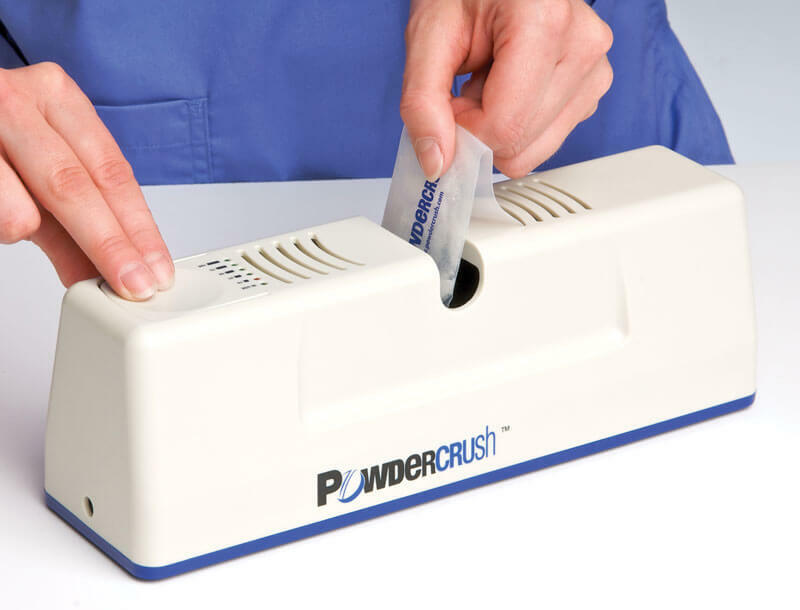 Stop hand crushing your meds and start powdercrushing with the powerful, portable Powdercrush® from Manrex. Place pills to be crushed in a Manrex supplied disposable medication PowderPouches. Fold over the top of the pouch to keep the powder inside the pouch. With one hand, insert the disposable medication PowderPouch filled with pills in the slot on top of the machine. Press down on the start button to crush meds. Typically, 4-5 seconds will produce the desired results. For a finer powder operate for a longer period.